If we don't have the item in stock, don't worry! We are on a nationwide database and have access to over 125 Million parts so if you don't find the part you are looking for, call Junkyard Jungle and we can find it for you. We are the auto part locating experts. We're proud to offer one of the largest and most comprehensive collections of used engines and transmissions available anywhere in the world, and we work hard to ensure that our prices remain not just competitive, but some of the best you will find anywhere. 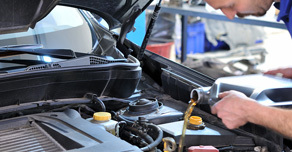 We know that replacing any part of your vehicle car can be an expensive and time consuming process, which is why Junkyard Jungle offers you a live, knowledgeable and friendly person who will help you select from our huge inventory of used transmissions and used engines or any other used auto part you need.